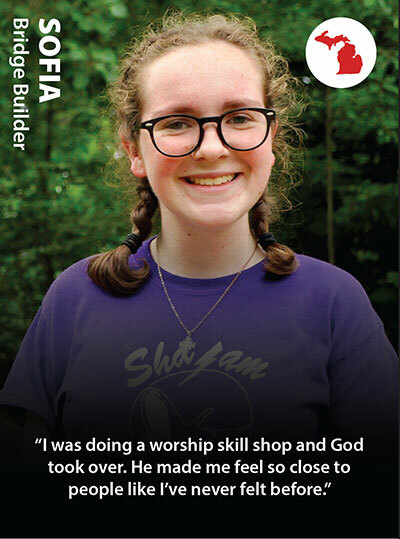 In pursuit of our mission and vision, Living Water Ministries hosts a week of camp for high school students called “Bridge Builders.” Bridge Builders is a collaboration of our two ELCA synods in the lower peninsula of Michigan. 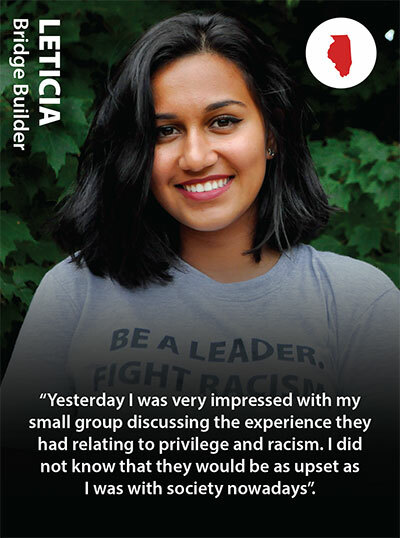 The goal of our Bridge Builders program is to develop young leaders for the church and world with a raised awareness and understanding of the realities of racism. The camp environment is utilized to form intentional community that grows together and with Christ through this uniquely formative experience. Prior to Bridge Builders, Living Water Ministries offered 3 distinct programs. 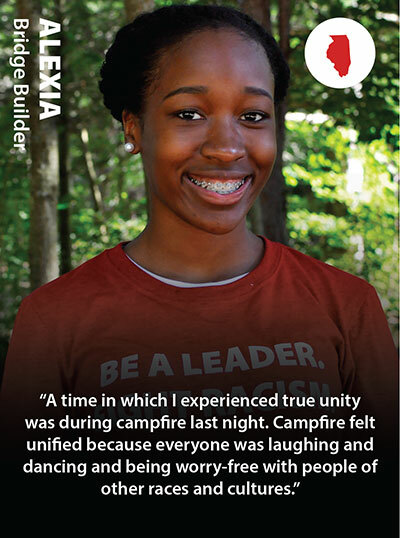 Leadership Training School (LTS), Advanced Leadership Training School (ALTS), and BRRICK Camp (a week of camp solely focused on the issue of racism). BRRICK Camp struggled to capture the interest of white participants. LTS and ALTS participants were dominantly white, being developed as leaders, and not engaging dialogue about racism. In summer 2013, Bridge Builders was launched as a collaboration of these 3 previously existing programs. Since its inception, Bridge Builders has reached 130 participants, approximately 34% of which have been people of color. It is our hope that raising young leaders in the faith formative community of camp can be a place where real change in the world and church can begin. 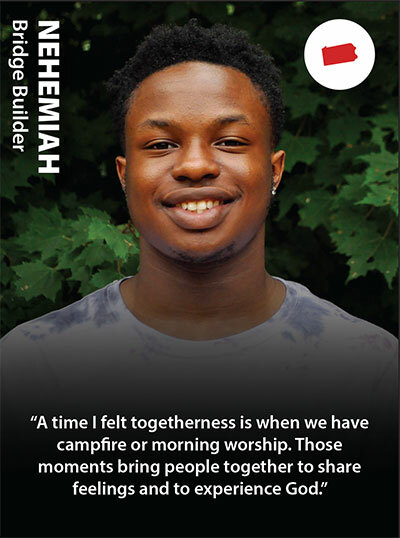 By exploring systemic racism we hope to inspire campers to a greater sense of responsibility to make change as they grow into adults of faith and leaders in the church and world. Our intent is to equip participants to see the world with new eyes of faith and to be able to evaluate where they currently or someday might serve as gatekeepers and people-in-charge and work to reform broken systems. Time will be spent equipping campers on how to host or engage courageous conversations for the sake of the Gospel. In 2016 participants from Oregon, Texas, Missouri, Illinois, Wisconsin, and Pennsylvania responded to advertising & personal invitation and traveled to New Era, Michigan to experience Bridge Builders. In 2017 we hosted campers from Texas, Nebraska, Iowa, Minnesota, and Pennsylvania as well. 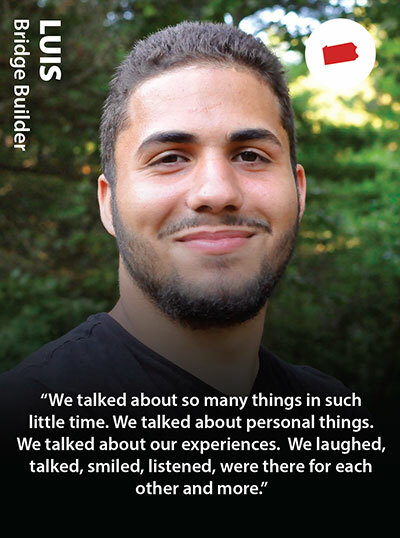 Once at Stony Lake, they joined youth from Michigan congregations to grow in faith, grow as leaders, and grow in their understanding of racism. 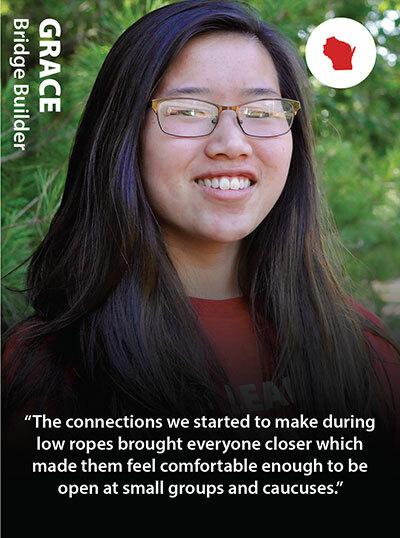 Take a moment and review the testimonies of campers inspired by this program.